1. 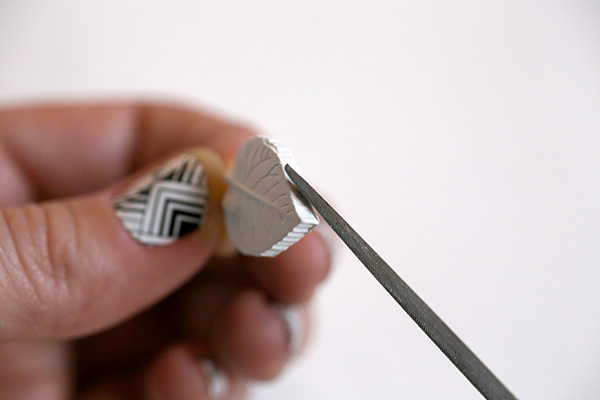 Spread olive oil in the push mold so your finished pieces will pop out easily, and spread it on your fingers. 2. Mix the epoxy clay according to directions. 3. 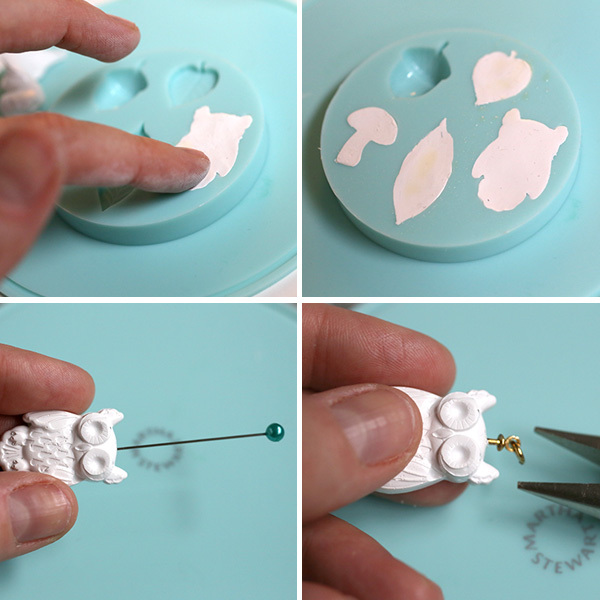 Push a small amount into the mold cavities for the charms you would like to make. 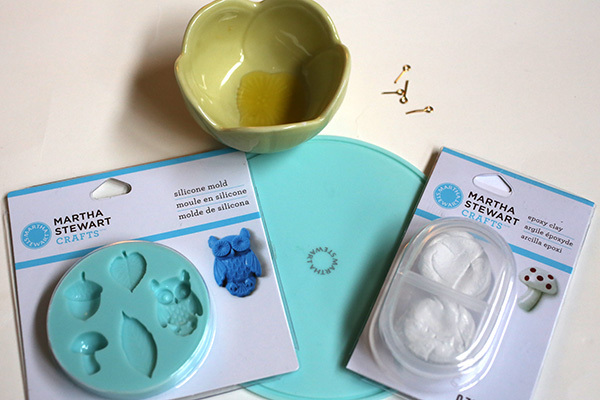 Use a silicone-tipped tool to really press the clay into the mold to pick up the small details. 4. 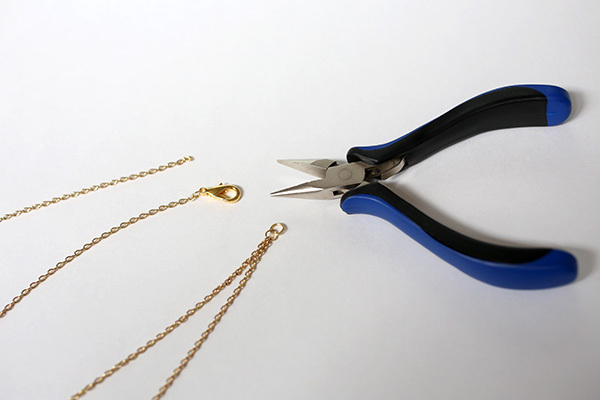 Place a small amount of olive oil on your finger and use it to smooth the backs of the pendants. 5. 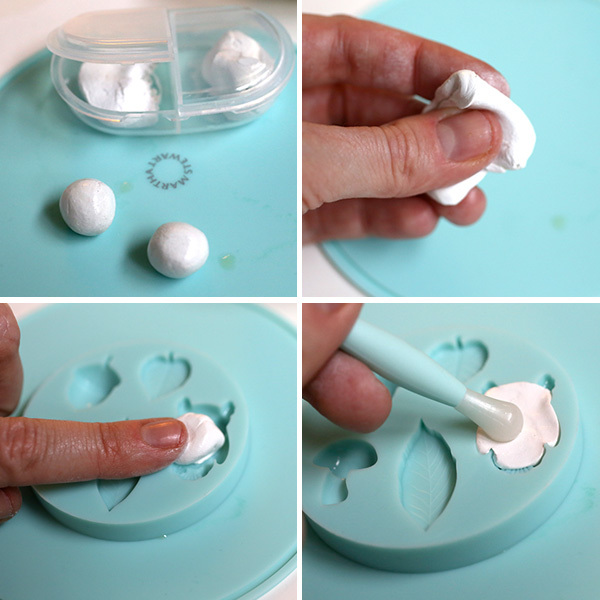 Pop the pieces out of the mold when they’re still slightly soft (but hard enough to hold their shapes). 6. 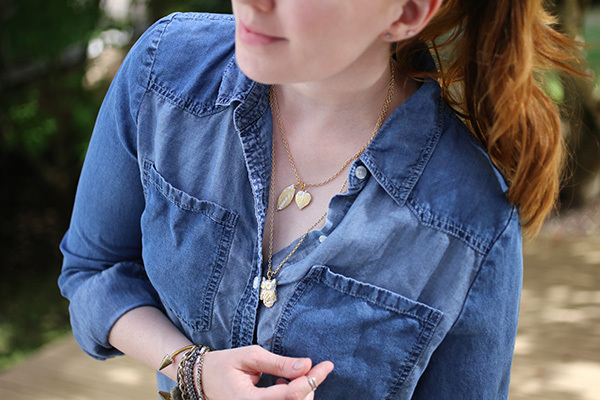 Use a pin to create a small hole in the top of each charm. 8. 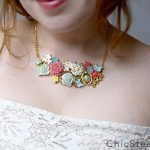 Allow the charms to dry fully. 9. 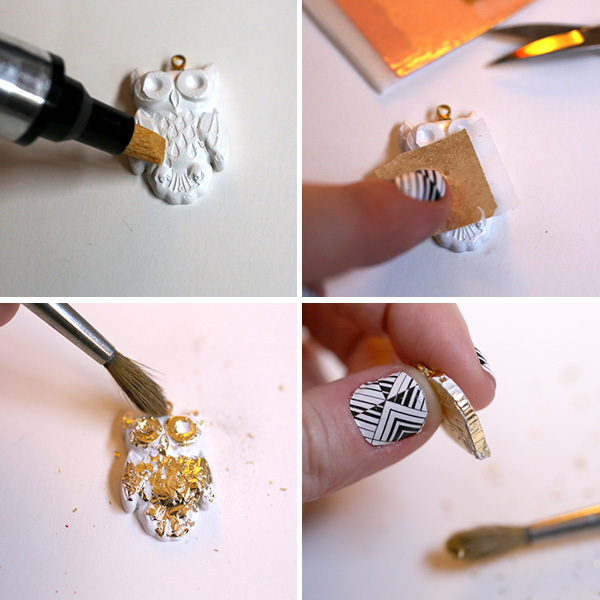 File off any rough edges on your charms with a nail file or sandpaper. 10. 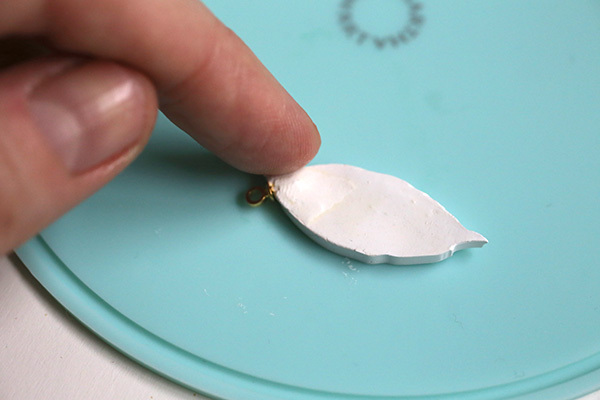 Once the charms are dry, apply leafing adhesive haphazardly to the relief of the surfaces. 11. 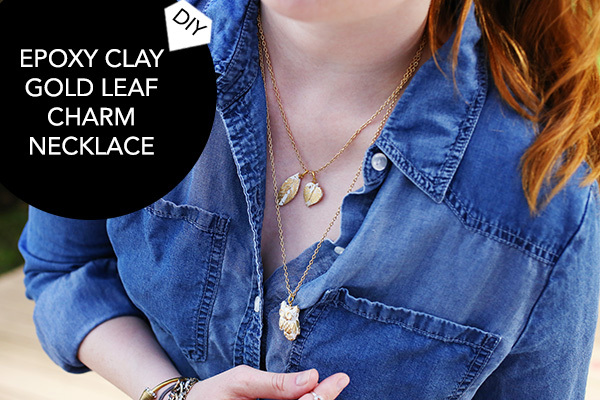 Apply gold leafing sheets, and use a dry paintbrush to brush off excess leaf. 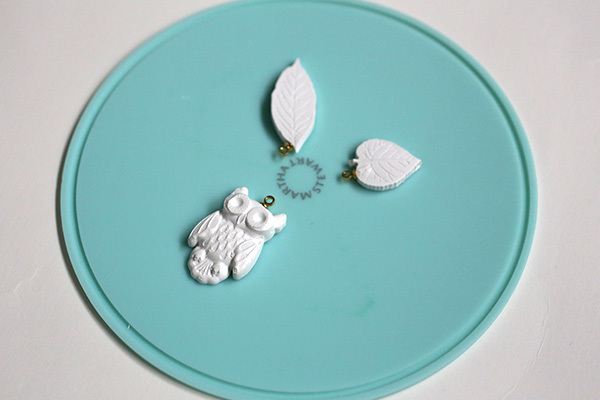 Don’t forget the sides of the charms! 12. 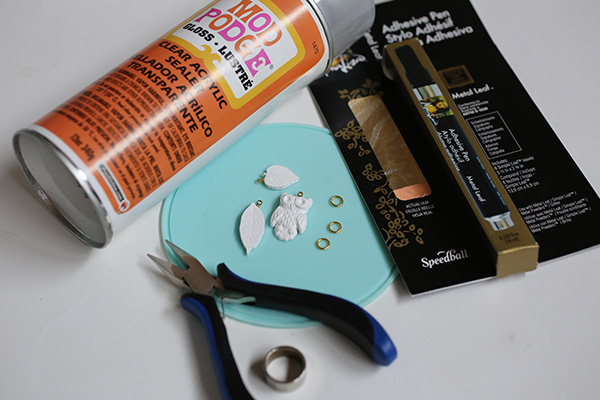 Spray fixative or sealant on the charms to prevent the leaf from rubbing off. 13. 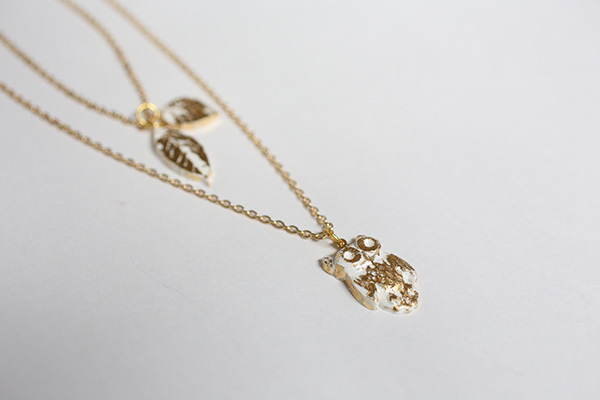 String the charms onto chains. 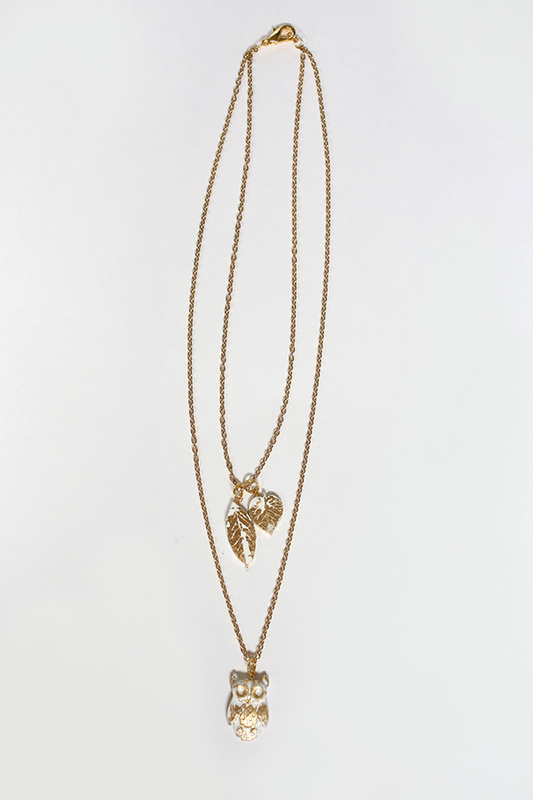 (I made 2 chains, one that sat just at my collarbone, and one slightly longer. 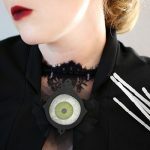 I attached both chains to the same jumprings at the ends and added a single clasp to create a permanent multi-layered necklace. You’re done! 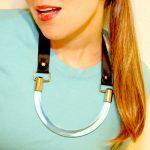 Wear with polished button-downs for a business-like accessory, or layer with even more chains over a loose T-shirt for a fun warm weather accessory. 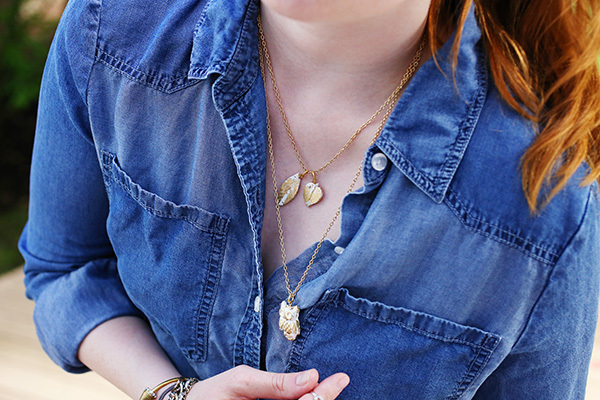 I love the double chain idea to give a permanent multi-layered look to the necklace. 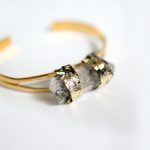 Truly beautiful piece, we love this one!